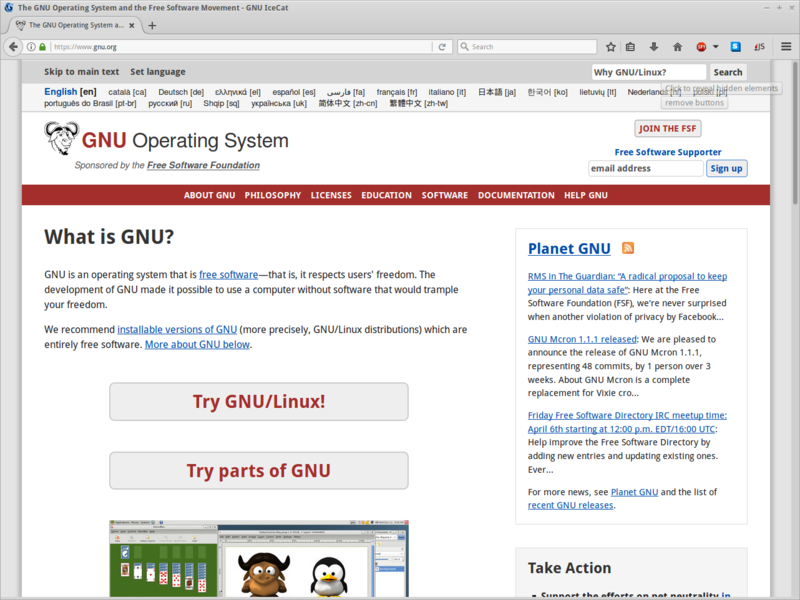 GNU IceCat is the GNU version of the Firefox browser. 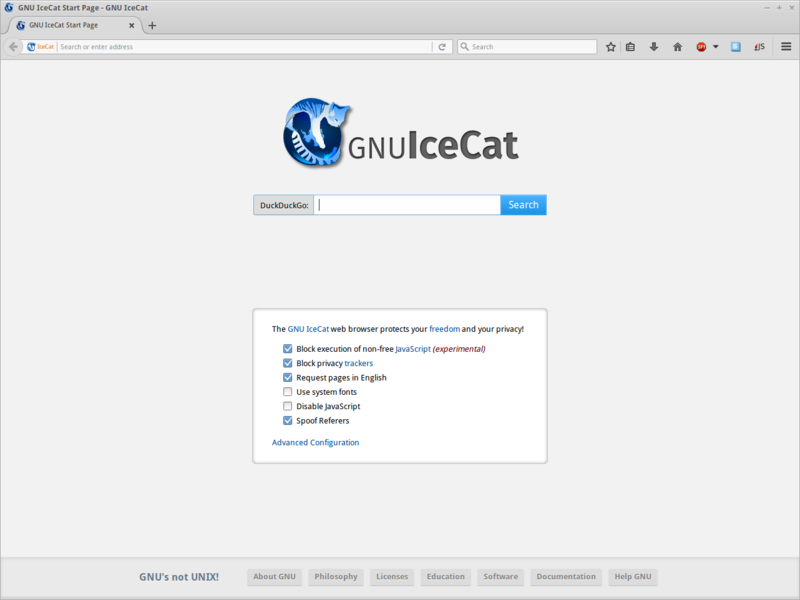 ''GNU IceCat discontinued official IceCatMobile support after version 38.6.0. Unofficial IceCatMobile releases can be downloaded with the F-Droid client. GNU IceCat (originally GNU IceWeasel) is part of GNUzilla (the GNU version of the Mozilla Application Suite). 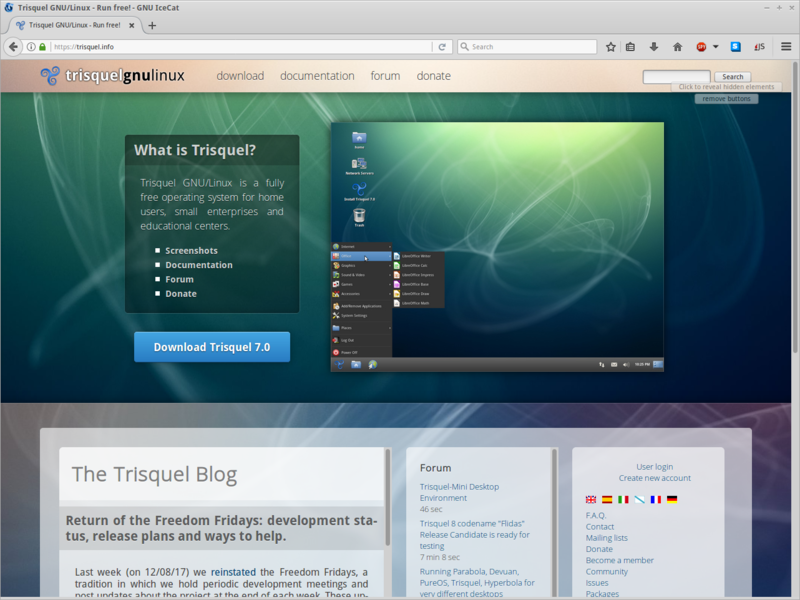 GNU IceCat is based on the the current official release of Firefox Extended Support Release (ESR) with removal of trademarked artwork and proprietary components. However, IceCat is not a straight fork of Firefox ESR; instead, it is a parallel effort that works closely with and re-bases in synchronization on the latest Firefox ESR as the upstream supplier, with patches merged upstream whenever possible; although it should be noted that additional security updates are customized to IceCat occasionally. Important differences between Mozilla's Firefox and GNU IceCat is that IceCat has a focus on freedom and privacy (see settings.js for details). Encrypted Media Extensions (EME) is not implemented: Whereas Firefox are being created such that they support Digital Restrictions Management (DRM) systems through their implementation of the Encrypted Media Extension (EME), GNU IceCat doesn't include an EME implementation as it opposes efforts to popularize and ease the dissemination of DRM technology. The proprietary program Mibbit has been removed. DuckDuckGo is the default search engine, which means that you can run "!Bangs" keywords in the location bar to use any search engine. SpyBlock (Adblock Plus fork) to block privacy trackers. GNU IceCat was formerly known as GNU IceWeasel but changed its name in 2008 to avoid confusion with Debian IceWeasel (who was rebranded back to Firefox in 2017 after Debian was being granted special permission from Mozilla ref). The GNU IceCat developers dropped support for Replicant after version 38.6.0 because these builds are already provided by F-Droid. GNU IceCat developers dropped support for macOS, and Windows, after version 38.8.0 in 2016: "Note that building binary packages for Windows and macOS currently requires non-free software, so we no longer distribute binary releases for those platforms. Why not recommend Firefox? As explained in our Free Software Definition, all four freedoms must be available on both a commercial and non-commercial basis. Mozilla's trademark policy serves to limit Freedom 2 to gratis distribution only, making the software nonfree. "Add-on repository maintainer" is not in the list (Maintainer, Contributor, Developer, Sponsor, Unknown) of allowed values for the "Role" property.